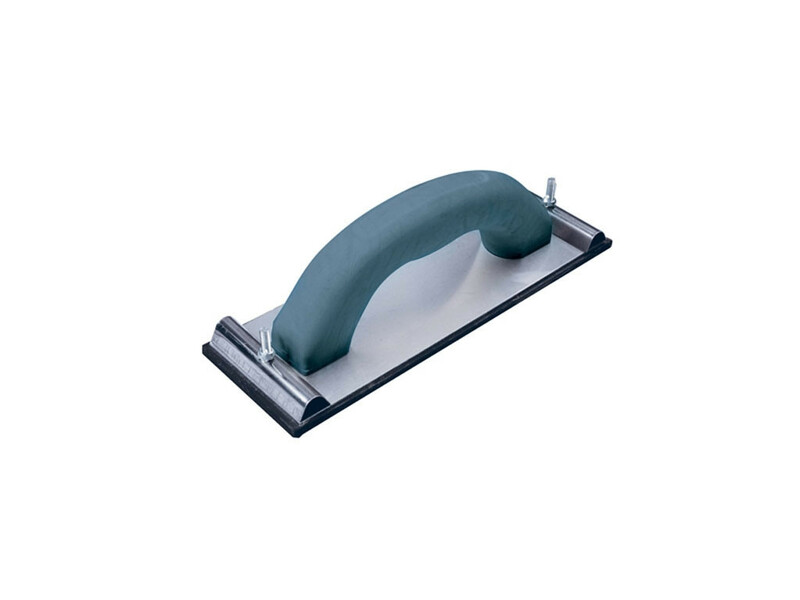 Hand sander for sanding large flat surfaces. Hand sander for sanding large flat surfaces. Large polypropylene handle and light weight aluminium base with a padded neoprene foam underside, simple wing nut for easy tightening and release of sandpaper securing bar. 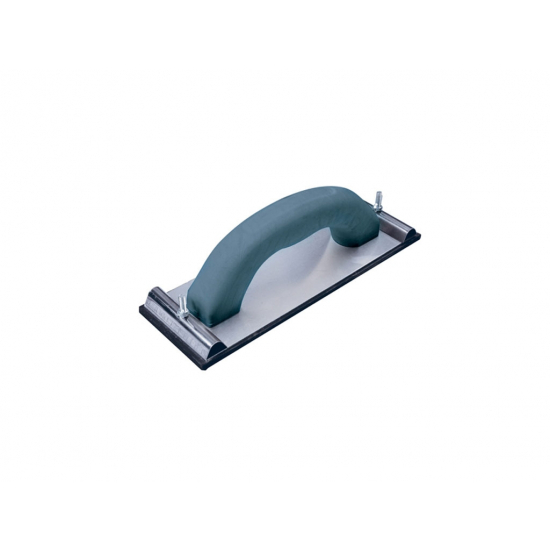 Hand sander is ideal for use with sandpaper rolls or sandpaper sheets. Abrasive sand-paper can be securely clamped onto the head to ensure even contact with the substrate. Actual sanding pad area size 84mm x 240mm.